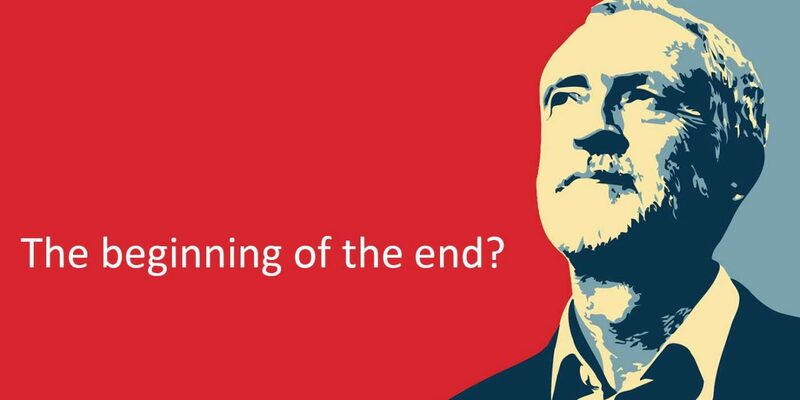 What next for Corbyn and "institutionally anti-Semitic" Labour? Seven Labour MPs broke ranks earlier this week, citing anti-Semitism as the main reason for leaving their party and forming an independent group of MPs. The group of seven, highly critical of Jeremy Corbyn, have now risen to 11 after Labour’s Joan Ryan resigned and three Conservative MPs also quit to join the group. Luciana Berger, who has been subject to months of personal anti-Semitic abuse said she could not remain in a party, which was “institutionally antisemitic,” adding she was leaving behind a culture of “bullying” and “bigotry”. Joan Ryan, who was Chair of Labour Friends of Israel and has also received ant-Semitic abuse for her opposition to Corbyn, said the Labour Party under his leadership, “has become infected with the scourge of anti-Jewish racism”. A YouGov poll published on Sunday reveals that 40% of potential Labour voters are “much less likely” to vote for Labour because of anti-Semitism. Only four percent of the British public think Labour have been “very competent” in his handling of the situation. Corbyn told Parliament at Wednesday’s PMQs that “anti-Semitism has no place whatsoever in any of our political parties,” and says Labour takes the “strongest action” against anti-Semitism. However, 34% of UK voters disagree, saying Corbyn is anti-Semitic and 60% believing that the Labour leader hasn’t adequately dealt with anti-Semitism properly. There is speculation that more MPs could also resign from Labour. The new independent group comprises of MPs that are largely opposed to Brexit and want a second referendum. Some MPs that disagree with a second referendum, but are opposed to Corbyn as leader, such as pro-Israel MPs Ian Austin and John Mann are likely to remain in the party to oppose the Labour leader from within. Others could wait until after 29 March, when the UK is set to leave the EU and a second referendum is out of the question. The Labour Party with Corbyn as leader is showing no signs of moving away from the far left – in fact quite the opposite. Could this week’s resignations prompt a hardening of far-left views, leading to an empowering of those within the party that have anti-Semitic and anti-Israel views? George Galloway, for example, on Wednesday morning asked to be readmitted to the Labour Party saying his expulsion had been “unjust”. Earlier this week, one-time Militant member Derek Hatton, was allowed back into the party – 33 years after he was expelled for his radical behaviour – another reminder of Labour’s move towards the far left. Meanwhile, Ruth George, Labour MP for High Peak, has suggested that it was “possible” the seven new independent MPs were being supported by the Israeli government. She has since apologised. Young Labour, the youth movement within the Labour Party, responded to Joan Ryan’s resignation with the following Tweet (since deleted), saying, “Joan Ryan Gone – Palestine Lives”. Earlier this week, they described the seven former Labour MPs as “cowards and traitors” with a short line from the Red Flag – the anthem traditionally sung at the end of the Labour party conference – to make it clear what it felt. Anti-Semitism is alive and well within Labour and will continue until the far-left is rooted out. Sadly, if Young Labour is anything to go by that could take generations to come.